*2-Phase Divisions. Ride a test of your choice, and a stadium jump course of your choice. Or ride a test, and cross country round without stadium. *"mix & match" division, choose your test and fence heights. Test must be of equal or higher level that jump heights. For example: BN Test A, & grasshopper jumps. *team challenge; 3 riders who team up for the event and have lowest total cumulative scores as a team at the end of the day will win great prizes! You must be at least participating in 2-Phase to enter. *High point dressage of the day award. 2. Current Negative coggins and proof of rabies required. Signed entry and release form required. ENTRIES CLOSE THURSDAY PRIOR TO EVENT DATE. Late fee: $25. 3. Calling of test to 2-phase or 3-phase riders is discouraged, however it is a schooling show and will be allowed with permission from the show secretary, calling will be permitted for Judged Dressage. No unauthorized assistance on Cross Country, no calling of stadium fences. Calling of course will be penalized by 20 penalties per call. 4. After a third refusal, move on to the next fence. If you make a fourth attempt you will be asked to discontinue. Other than this there will be no elimination, unless safety of horse or rider is in question, or in case of the fall of a horse, or second fall of a rider on the same course as first fall. Schooling by permission at conclusion of event, for anyone with a trainer and/or schooling issue on course. Schooling will be permitted for anyone for an additional fee. 5. No martingales in Dressage. Snaffle bits required, alternative bits must be approved by Horse Amour staff prior to beginning competition, and may carry an additional penalty from judge. Safety is our priority, pelhams, wonder bits, kimberwickes allowed for X/C with permission, alternative bits may be permitted by management w/prior declaration and approval. 6. Refunds before closing date less $20. After closing date no refund. In case of cancellation of competition, full refund. 7. Change of horse for year end points will be allowed only if the horse becomes unsound or is sold. Points may not be transferred to a different division. Enter"mix & match" division if you think you will be surfing the divisions throughout the season. 8. Overnite stabling or paddocks may be available, contact staff for availability & prices. There is not always availability for stabling. 9. Contesting scores: you have 30 minutes to file a complaint after scores have been posted. Jump judges will remain available for this time. All judges decisions are final. Our fence judges are volunteers who help make this competition possible. Please be kind and appreciative. 10. Minimum time for Cross Country will be determined and posted before the event, and will be very reasonable. 10 penalties per minute will be accrued by riders exceeding the time limit. Not all Trials are timed. We will let you know. 11. Absolutely no unnecessary roughness or abuse of animals will be tolerated. 12. Judged Dressage and 2-Phase will be scored in penalty points to accomodate all divisions. 13. Copies of tests available on the website (www.horseamour.com). 14. This is a horse trials-- please make other arrangements for your dog. 15. We cannot prearrange fair weather. Our events will be held rain or shine, if weather becomes dangerous (i.e. lightening, hail) temporary delays will be enforced. 16. 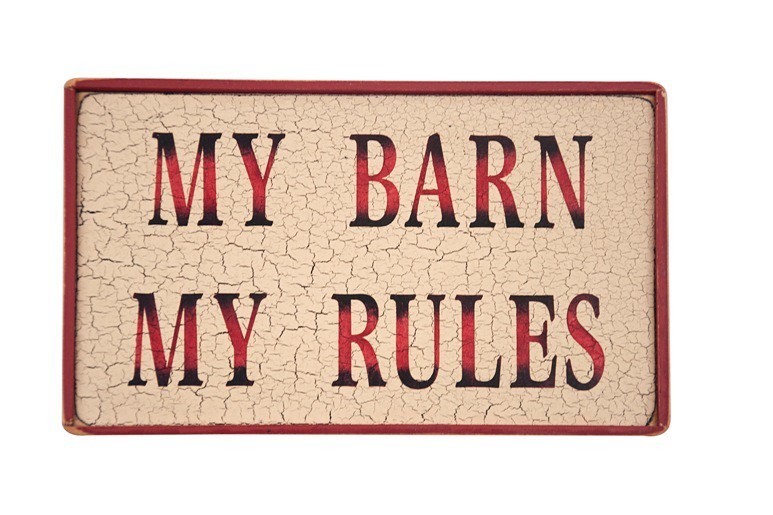 We are not governed by the rules of any equestrian associations. Our rules are our rules only. 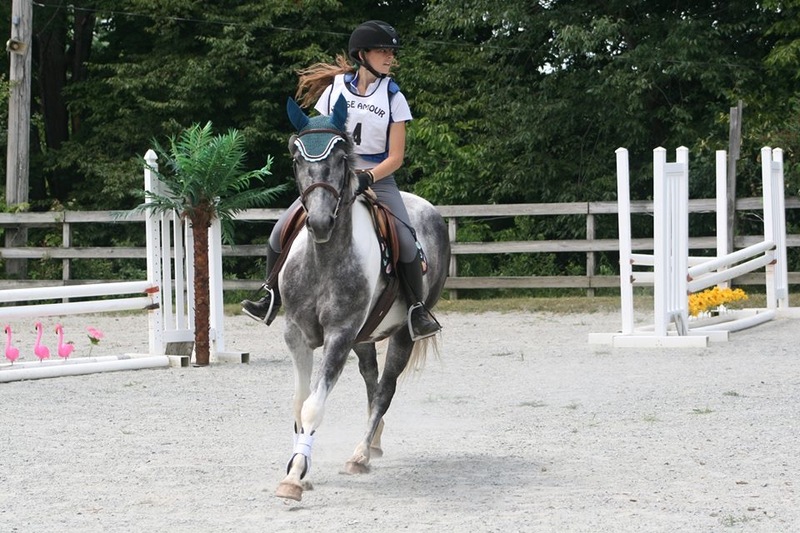 Join us for friendly, laid back schooling competitions!